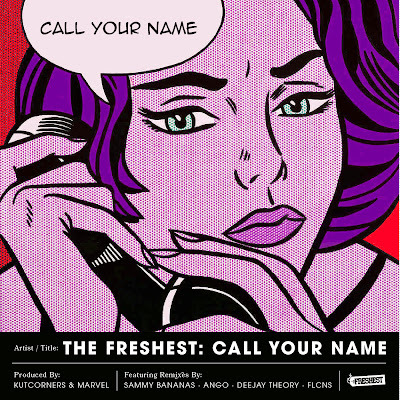 :: THE FRESHEST ::: CALL YOUR NAME - OUT NOW! CALL YOUR NAME - OUT NOW! "Call Your Name" channels Modern R&B, Futuristic Hip Hop and UK Bass Music with vocals provided by Anji Sami (She's So Rad). The release has gained support from major electronic artists featuring it on bbc radio 1xtra and multiple mixes. The original version is complimented with remixes by - Falcons, Sammy Bananas, Ango, and DeeJay Theory. The Call Your Name EP will is available at all online retailers now!